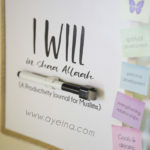 Whenever we talk about Muslim entrepreneurship, I can’t help but think about Khadija (RA) – a business woman who financed the whole early Islamic movement by spending all her wealth in spreading the message of her husband Muhammad (saw), freeing slaves who embraced Islam, and feeding /sheltering the new Muslims. 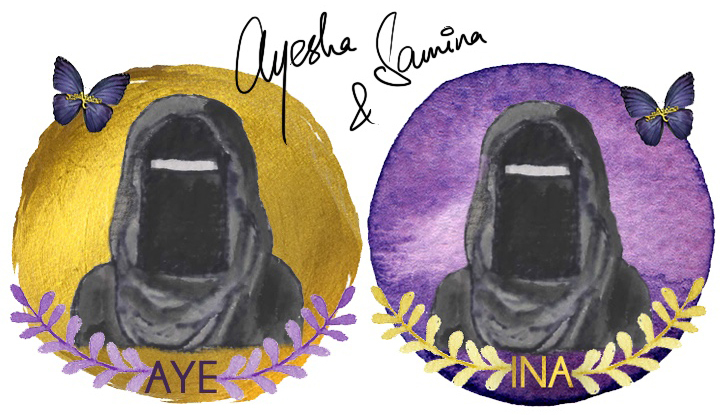 I wonder what Islamic ethics drove her business forward, till she was called Ameerat-Quraysh (Princess of Quraysh) and al-Tahira (The Pure One) due to her stellar reputation. Khadija knew what she was doing business-wise by employing hardworking and honest managers to deal on her behalf without compromising her modesty or integrity to succeed in the male-dominated field of trade. For me, passion is about accomplishing an objective for the better interest of myself AND other people. Otherwise whatever I like doing (solely for myself) becomes my hobby, not passion. The base of starting any business is to do a thorough research on it. And jumping into it without overthinking once you’ve done istikhara. Each passion has a side to it that can serve others in some way. If painting is your passion, you may remind someone of the beauty of Allah’s creation – the nature etc. If speaking is your passion, you may help people stay motivated in living their best versions. If you can include we in your equation of passion, it will take you a long way as you will be driven with purpose that is far beyond you. change the course of “gift giving” when I looked into the products the Islamic industry was offering. A gift is always thoughtful and meaningful, and what more could be better than gifting a child a part of Islam which will benefit both the receiver and giver of the gift. When I eventually started Little Muslims Gift Factory, that day 1st of Ramadan 4 years ago and till today I still have the same passion of giving the gift of beautiful and informative books to our #Littleummions. Asking yourself a simple WHY can really clear up your future steps. 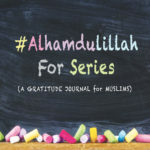 Asking myself several WHYs lead me to the desire of starting “Little Muslims Gift Factory” – Why do we invest so much in secular education and not in tarbiyyah? Why do we struggle so much for this dunya when it won’t benefit us in the aakhirah? Why do we focus on memorizing alone and never on the true meaning of Allah’s words? Why are we content on an Islamic teacher making our kids learn all their lessons without a deeper thought? These WHYs lead me to ask myself if I can solve these problems in a practical way, without merely complaining about the state of our future ummah? Recently, We had a tie up with an upcoming USA brand Ummi and Baby co. We thought of only one thing that, if we have the money and ability to bring similar products to our home country ( USA, INDIA, KSA) and be able to have it at a reasonable price, then why not? We have to be extra careful in the kind of information we pass on in regards to Islam. Books or products can be rejected for many reasons. Heavy pricing, not enough content, not correct information etc. I always look for books with more reading content and reasonable amount of pictures, which enables children to read and explore more. Learn about the legal perspectives of starting an online business.Study your business. ASK . Keeping it halal doesn’t always mean what is at the forefront of your business, but it also includes the things that are invisible to a human eye. If your intention is only to make money, you will and then you will burn out. If your intention is only to become famous, you will and then it will consume you. If your intention is to please Allah, you will get your aakhirah and dunya both (in shaa Allah). 4) Build a relationship with your customers. Remember, you are not collecting followers/ subscribers/ customers, you are building a community! Connect with your audience – whether it’s through newsletter or social media. You need to know where does your ideal audience stay. I love connecting with people. I love making new connections on daily basis. I do extensive reviews of any product(s) that I sell. That way I get to connect with fellow sisters and have healthy discussions on how we can all work on instilling the love of deen in the hearts of our future ummah. Small businesses have this benefit over big companies – they can form a long term relationship with their customers through one on one conversations. Something that builds trust with time. Put yourself aside and look at the bigger picture. In this industry , it’s important to build a community rather than an empire. As a working person, it is very important to manage your prayers because it’s easy to fall into the trap of losing the track of time. I have personally noticed that if you pray on time, you are able to focus much better on other things in life. 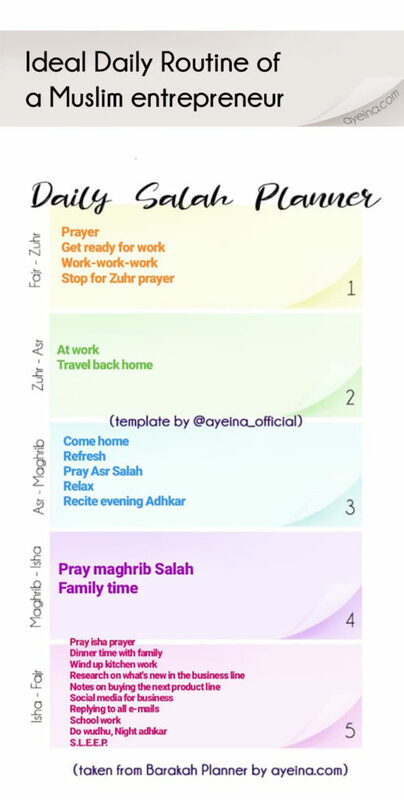 Alhamdulillah I’m blessed with a family that never delays salah so it motivates me to do the same. Fajr – Dhuhr: I wake up at fajr and once salah is done, I prepare to go to work ( breakfast, getting ready, travel, etc.). While I’m on the way to work, I recite my daily adhkaar. Dhuhr – Asr: I’m at work while the Dhuhr adhaan is called. So as a teacher, I have a class sometimes during that time – but as soon as I’m free, I pray Dhuhr immediately. Then I travel back home. Asr – Maghrib: I’m home by Asr prayer and pray immediately and then I go about my day – unwinding and taking a break. Maghrib – Isha: After everyone in the family prays maghrib and get done with their evening adhkaar, all of us spend some family time together. Social media can be a trap. It may make you feel like you’re not progressing because you are constantly comparing your growth to someone else’s pace. I used to see some companies how they’ve excelled etc. but not anymore. I am a very passionate person. So if I don’t get to a place where I want to be, I work extra hard. I did that with Little Muslims Gift Factory but it pushed me into the burn-out stage. When I started Little Muslims Gift Factory, I went to some people who are already well established for help, but unfortunately they didn’t help. Sometimes we don’t realize how much we can achieve by joining hands. Hence Muslim Women Empowerment program came into being. 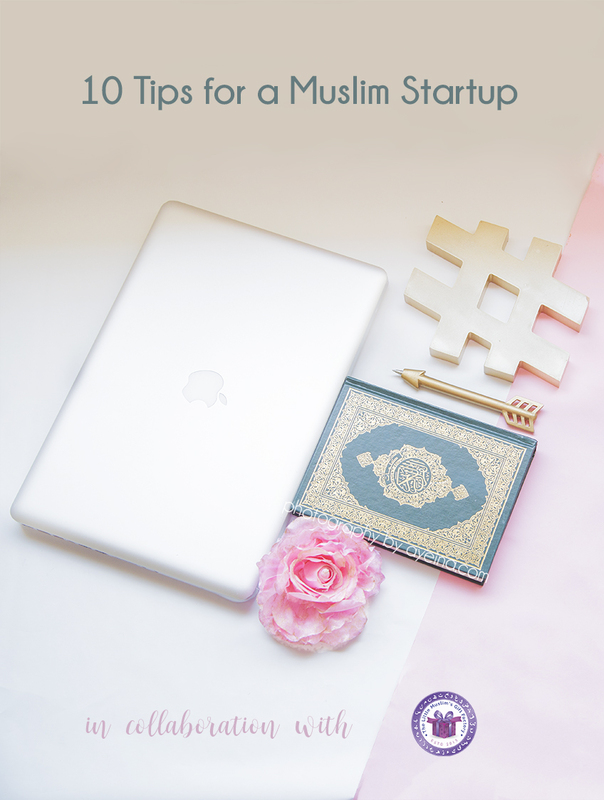 We help Muslim women to start their work from home and spread the khair by giving them special wholesale prices to get started. They don’t work for us – they have their own individual identity. Because empowered women empower women. Fard over Nafl – not the other way around. Your obligations include time for Allah, time for yourself (because your body has rights too), time for the relationships He gave you and then comes your goals and dreams! If you start in the ascending order, you will feel the struggle of climbing even more. If you want ease in your business, slide down in a descending order. Allah, Family and friends are my circle of joy. When I go out often with my family, I don’t take my internet router, so I get to truly spend time with them. I was raised in a joint family system so my extended family is also very close and dear to me. I make time for everyone because I realize that business and work will come and go, but my circle of joy will remain the same. And it’s through their support that I’m able to work on my business as well. If you feel like your relationships are suffering because of your business, it’s ok to slow down. On my weekends, I work on my personal development by listening to tafsir and learning or revising my memorized surahs. Everyone goes through a rough patch and it’s easy to make bad decisions during the difficult time. Things happen which are not in your control. Your shipment gets lost in transit. The products arrive late or damaged. You have unbelievable amount of customs to pay. 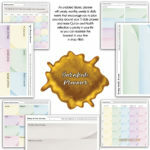 Lack of enough money for your next product line – so on and so forth…it’s all a part of life and not the end of the world. I have personally learned to manage my funds better and to make smart buying and shipping decisions as a part of all those past mistakes. You don’t stop moving when you’ve lost your way. You keep walking to find a path. This journey will give you an insight on what mistakes have you made and how you can improve next time in shaa Allah. I scribble. Loads and loads of calculations and scribbling in my notebook to plan ahead. Regardless, if it’s social media, or buying products, sale items etc I write them down. Keeping an account of products and amount on a simple excel file is also a good idea. For pictures, I rely on my team of designers , they do their job at their best. Alhamdulillah. Fortunately, everyone has the ability to build more mental muscle by changing the way they think, feel, and behave. And the best way to grow mentally stronger is to work smarter–not just harder–by giving up the unhealthy habits that are holding you back. Your money is hard earned. And any bad decision can lead to a lot of trouble for your business. Do a lot of research and then istikhara before you start anything. Social media is a small world, it’s easy to find out what is trending,etc. Get a website ( we are still working on it) , Invest smartly, take advice from fellow entrepreneurs and check the best options for your business. Make marketing fun. And put yourself out there. Madiha Basheer is the Owner/ CEO of The little Muslims Gift Factory – a deen inspired gift shop for little ummions since 2015. She’s a math teacher for grade 1 and 2 and head of department for elementary section of a Saudi american school while running her own business too (something she always dreamt of doing after completing her MBA degree). Fantastic tips and reminders. Alhamdulliah, as a businesswoman these tips are really useful. Jazkallah Khair. Social Media is a great way of getting your business name out there but as you pointed out it can also be a trap. I really loved this point very much “Manage your time around salah for maximum barakah”. Salah is the main pillar of Islam and we shouldn’t leave it in any case. Great post! Allhumdulliah….this is wonderful…i love the cute pic of baby on laptop…a picture describes thousand words and it is so….i am loving the planner you shared….